We have many buyers wanting to buy specific businesses, use the search box to filter opportunities of interest. 0011600001vZRCbAAO Banking Ex Cleanaway & Boral. Looking to manage and invest up to $50m as investment group. Must be Melbourne based. 0011M000027LMhBQAW Construction Buying building construction or services such as Air Conditioning or Security Systems Business. Investment up to $10m, preferably in the independent lift space. Maintenance and refurbishment is a big part of the business. 001G000001CzISwIAN Engineering Services "We will continue to look for opportunities to acquire profitable automation engineering and robotics businesses which are complementary to our existing areas of focus and which will add value to the Group. 001G000001CzITIIA3 Engineering Services Anything in food, energy and minerals food chain. From a few $m to many millions. Infrastructure, mines Something that is scalable from a PE perspective. 0011600001vrizFAAQ Engineering Services Test inspection certification, particularly labs in the oil and gas sectors. Also looking for Agri labs. 0011M000028fMXoQAM IT - Information Technology looking for opportunities to expand our operations for regions where we do not have a strong presence. Our CEO is looking to establish our IT services in the Australian market through acquisition of companies with revenue from $15m to $50m, EBITDA min 5%. All sectors and software. 00116000026XOMwAAO Manufacturing Electronics, GPS vehicle systems with a installed user base. Service industries. 0011600001qS8uwAAC Manufacturing General engineering - heavy buy Fabrication business with $5-$20m turnover, I would be looking at either Victorian, NSA or SA Based. SA would be the highest priority. 0011600001lO6UeAAK Manufacturing acquisitions in the equipment sector. We are open to explore oil and gas, mining and construction sectors. 0011M000027LMn6QAG Manufacturing We aim to deliver above average returns and increasing dividends to its shareholders through delivering quality partnering solutions in fast growing businesses. Its partners include franchise business owners and joint venture companies with highly talented and passionate individuals with vested interest in its continual success. 0011M000027LMnIQAW Manufacturing NZ is not a first choice. But am happy to look at something re popcorn manufacturing or similar there or in Australia. I am also interested in a food service style business that incorporates packaging into take away food shops & similar. A nice juicy contract being thrown in to a good company wouldn?t hurt also. 0011600001vXm0lAAC Manufacturing Industrial businesses with revenue over $5m. 001G000001G8AC0IAN Private Equity (PE) Small Medium $10-15m. We are always on the look out for leading small-medium enterprises (SMEs) that we can support with capital and strategic insight while helping founders do a staged sell down to diversify their wealth. Our investment criteria normally includes businesses with $20-200m+ existing revenues and $5-20m+ earnings. We can also look at smaller acquisitions if they fit with one of our existing or upcoming portfolio companies. 0011M000027Mpk8QAC Private Equity (PE) sector that are seeking growth stage investment. Companies we invest in typically share the following characteristics: 2-6 years of operation Run by the Founders Proven business model with attractive KPIs Ability to generate repeat revenue International revenue generation Huge market opportunity Require capital to grasp this opportunity Important verticals within the technology sector eCommerce, subscription-based internet businesses, online marketplaces, software, SaaS, high value data, online education, telecommunication applications and services. 00116000026WJxQAAW Private Equity (PE) We target equity investments of $150 million to $1,000 million in the energy and minerals sectors with talented, experienced management teams, focused on hard assets that are integral to existing and growing markets. 001G000001G9BVhIAN Wholesale Safety products PPE, Safety, medical, industrial business up to $20m turnover. 0011M000027LN4RQAW Wholesale / Distribution Anything with "parts". Off highway machines excluding heavy earthmoving. 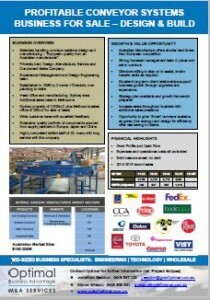 Interested in Agg, elevation, forklifts etc.